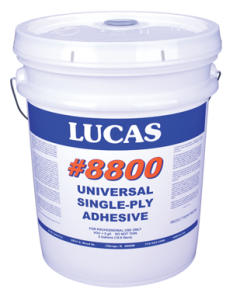 Water-based adhesive for use with TPO, EPDM and PVC roofing. Zero VOC. Compliant in all of North America.